If Boris Island will take 30 years what could be built in 10-15? A few years ago my friend Tony Hall, together with Peter Hall, wrote a pamphlet suggesting what is now known as Boris Island. A good idea, if it was doable/ Quite part from all of the technical problems with Boris Island the key problem is the length of time to construct – 25-30 years at least, and the sheer cost of that amount of dredging and construction – possibly £70 billion+. If one accepts the case is made for a new airport what are the alternatives? Hooe Penninsula and Upper Heyford are being looked at again. Both non-starters Hooe for birdstrike, Upper Heyford for poor road and rail links and the cost of putting those in. What are we looking for then in terms of a low cost, quickly delivered solution? Now havn’t such sites been looked at many times, such as the Roskill Commission or RUCSE, well no. Roskill was before the M40 was a glint in anyones eye, and RUCSE before HS2. The truth is that there is no up to date options appraisal. So what options might there be. I am talking about the site of RAF Gaydon below – for a number of years the headquarters of Land Rover and their test track. The key would be to take the HS2 route to the South rather than the North of Brackley, it would rejoin the planned route North of Royal Leamington Spa. This would naturally run the route parallell to the M40 for a number of miles enabling an interchange/park and ride station next to a new junction of the M40. The site would be this area, currently occupied by the Gaydon test ground and an MOD Ammo store to the immediate south. As flat and featureless an area you will not find in SE England, on the plane known as the Warwickshire Feldon. About 2 miles to the South would be the site of the historic battlefield of Edghill, and the very farthest northern extent of the Cotswolds AONB, so the site is seen from the AONB but is outside it. Although of course it is very largely built on. Ive overlayed the site of Heathrow Airport to show how a two runway airport can easily fit. I would suggest that phase one would be to build a two runway airport here, with a single large terminal just off the suggested new rail station and motorway junction. In the longer term I would suggest a four runway solution with the two northern runways used for landing. The advantage here is minimum disruption to air traffic patterns. The existing landing patter to Heathrow should simply be diverted northwards. The take off pattern would be west of Northampton and over no major towns (indeed neither would the landing pattern there would be few villages affected). Runways would avoid Fenny Compton house to the South West and the Historic village of Kineton to the South, although the village might need a new approach road. As compensation for landscape loss a country park on the site of the battle of Edgehill could be created. Phase two would involve creation of two extra runways which might involve burying the M40 for a km or so as at Charles De Gaul. This could also be served by three new transport connections. Reopening the railway connection to Stratford-on-Avon – and Birmingham – the Shakespere Line, with a major business park on the former Royal Engineers Depot at Long Marsden, a new station on the Chiltern Line, with a mororail connection to the two terminals, and a new East-West motorway connecting westwards to the M1 going north of Northampton through to Cambridge and then Lowestoft – the critical missing East West Motorway Link – on the route of the A14/A45. A dual carriageway connection to the Fosse way and Evesham to the West would probably be wise. I would finally suggest a new station on the Chiltern Line, rather reopening Harbury Station, linked to the two terminals by the monorail. The purpose of this would be to get workers in. It is also possible to constrict a new town between Harbury and Bishops Ishington based around the disused quarries and water bodies, long an aspiration of the landowners, in order to absorb the urbanisation effects of a new airport. The Airport would be right at the centre of England, serving both London and Birmingham, and generating growth on the East West Corridor – especially to the west at Milton Keynes and Northampton. Both Heathrow and Birmingham International could close, it would replace both. And the land value from the disposal of Heathrow could pay for the new airport, as well as housing possibly 250,000 homes. Birmingham International could be a technology park, a replacement site for Land Rover. Looks interesting but surely they will just expand Birmingham airport (35 mins from London on HS2)? Or even Coventry. Oh and it’s Leamington Spa (with the ‘Royal’ prefix if you are being really fancy pants) not ‘Lemington Spar’. That makes the town sound like a cheap neighbourhood cornershop. No Birmingham International & Coventry are on too small sites to take a multi-runway solution – which is what is needed. If memory serves, this idea was canvassed around ten years ago and comprehensively rejected by the locals. Your phase 2 is precisely where a current application for five 150m wind turbines has been lodged, so if this get approved it will make a bit of a mess of your flight paths! In principle a great idea, but 10 years too late – nice try though! if a 4 runway airport is sited in the Thames estuary. Commercial pilots. All have the right operational experience and will be responsible for flying execution and safety. 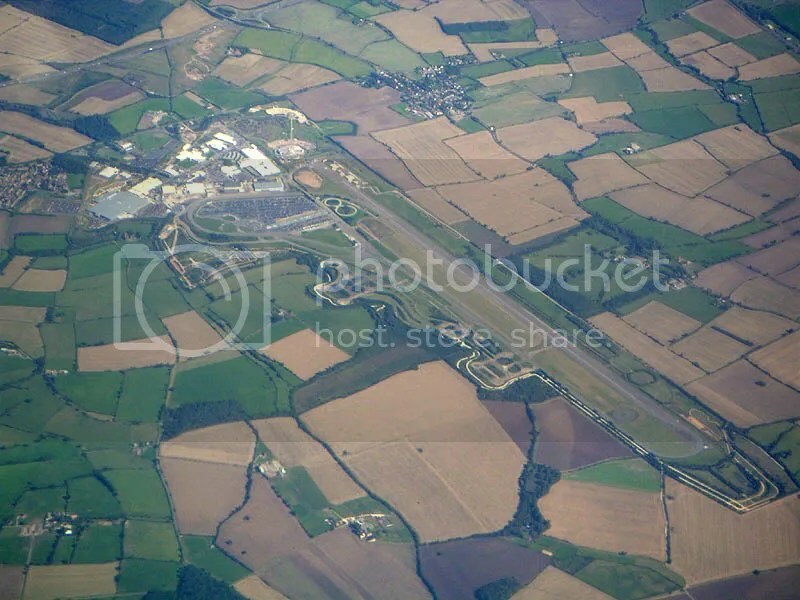 4 The views of the vast UK flying community . Not only views of local communities. They have after all chosen to live near an airport. – Fairford – The B52 base for the early Libya campaign. Central and lots of space. currently home of the privately owned Vulcan bomber. There are surely other possibilities too. financial case are very important. Seems strange Gaydon being a better choice than Upper Heyford, which is closer to the main rail-line and equally as close to the M40. Also is currently disused except for storage, and the ex-miltary prefabs are the only real residential population around. Gaydon is a bit too close to Stratford and the Cotswolds and the noise may have an adverse effect on tourism.